M.Lhuillier continues its remarkable expansion and marks another milestone as it recently opened its 1,400th branch in Labucay, Cebu. A touching aspect of this achievement is that it is M.Lhuillier’s return to its roots in E. Labucay Building, the same building where its legacy began 58 years ago. The history of the Lhuillier Group can be traced back to its grand patriarch, Henry Lhuillier, a French national who came to the Philippines in the 1930’s as a jewelry sales executive for Levy and Bloom Oceanic Commercial Department Stores. He decided to stay when he married a Filipina named Angelita Escaño Jones. After World War II, he ventured into various businesses, which included chocolate candy manufacturing, as well as an enterprising jewelry manufacturing and a money lending company. Labucay was and remains to be one of the first flourishing commercial and trading hubs in Cebu. 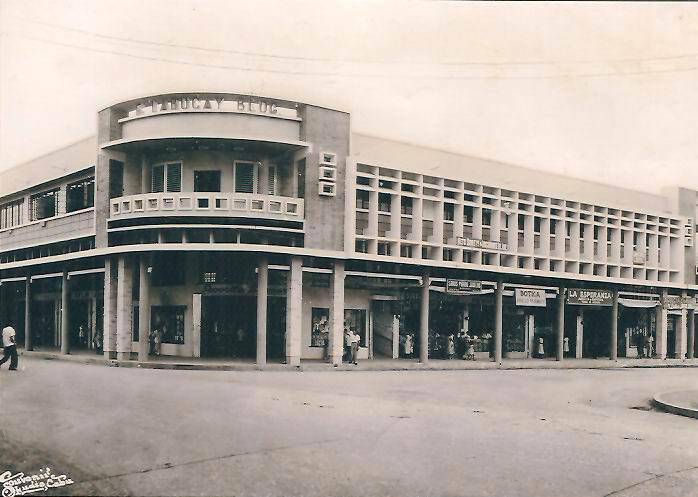 In 1948, the Labucays chose this location to have the E. Labucay Building constructed, a commercial building which primarily catered to jewelry stores. After a fire a few years later, the building was rebuilt in 1953 by the owners, Estanislao and Anacleta Labucay who later passed ownership to their children including Esperanza Labucay-Cabahug. According to Angelina Labucay-Escaño, third generation manager and co-owner of the E. Labucay Building who inherited the building from their aunt Esperanza, the opening of M.Lhuillier’s 1,400th branch is what she considers a homecoming for one of their valued pioneer tenants, the Lhuilliers. The second floor housed the first Lhuillier branch, initially a jewelry store, and personally managed by the Lhuillier patriarch, Henry. The store was eventually moved to the busy ground floor and transitioned its business operations to include and address the community’s evolving needs – financial services. Henry proved to be a formidable businessman as his store gained popularity and loyal patronage among the locals. Escaño recalls, “My relatives told me that Henry was well-loved by the community because of his friendly stance, and was often addressed with endearment as Tatay.” His business steadily grew throughout the years and expanded out of Labucay. As Henry passed on the torch to his children, his eldest son, Michel Lhuillier started M.Lhuillier, which was born in the early 1980’s as an offshoot of Henry’s financial service business. The company grew leaps and bounds with the opening of branches nationwide to service Filipinos’ need for finances and jewelry. To date, the M. Lhuillier Group of Companies is actively managed by two generations of Lhuilliers, assisted by professional staff. The chairman of the group is Michel Lhuillier while his wife, Amparito Lhuillier, actively manages the fine jewelry stores and departments. Sons, Charles and Michael, hold the EVP positions and manage the day-to-day operations of the branches. Their range of services has grown throughout the years. The company has diversified its business portfolio, which now includes quick cash loans, remittance services, jewelry stores, real estate holdings, construction projects, poultry farms, tropical fruit processing, bulk water supply, and deli & wine exclusively distributed at The Gustavian (branches in Banilad and Ayala Center in Cebu), one of the restaurants owned by the Lhuilliers that specializes in European cuisine and houses a British Pub called the Tap Room. M.Lhuillier’s commitment to serving the Filipino remains as steadfast as it was 58 years ago. The company helps “bridge” the way to Filipino dreams and aspirations, primarily through reliable community financial services. Aiming to reach Filipinos wherever they may be, M.Lhuillier will number 1,475 branches nationwide within the year. This same commitment is also reflected in its goal to have a stronger presence in the international market through strategic partnerships and alliances.